“Project Bluebook” is an astounding new dramatic series airing Tuesday nights at 10 P.M on the History Channel. The show stars Aidan Gillen (Little Finger from “Game of Thrones”) as Dr. Allen Hynek, and co-stars Michael Malarkey, Laura Mennel, Ksenia Solo, and Neal McDonough. 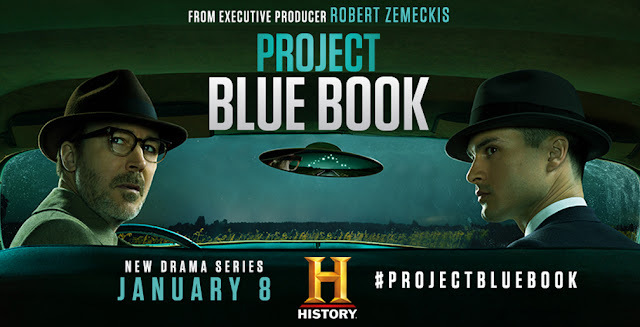 Executive Produced by Robert Zemeckis, “Project Bluebook” is based on the actual case files from the official Air Force investigations into the UFO phenomenon. Dr. Hynek went into the Air Force program as a complete cynic and emerged as the most famous, serious UFO investigator. He went on to serve as the consultant (an inspiration) for Steven Spielberg’s 1977 masterpiece “Close Encounters of the Third Kind”. 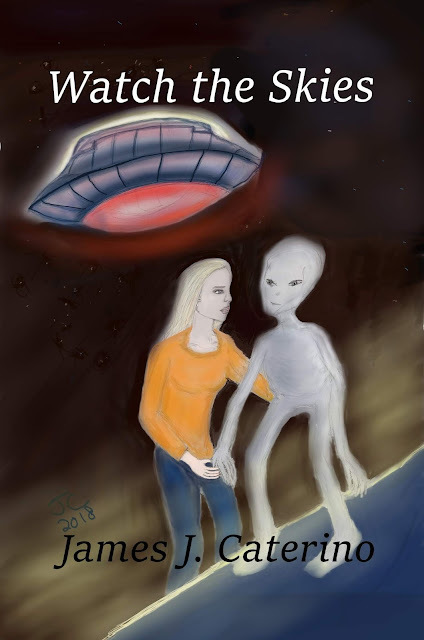 The epic multi-generational UFO novel “Watch the Skies”, uses several real UFO events as its basis, including “The Kecksburg Incident” of Western Pennsylvania from 1965, and the Phoenix Lights sightings of 1997, deftly using these famous historical incidents in creating a fascinating piece of page-turning speculative fiction. Fans of “Project Bluebook”, “The X-Files”, and “Close Encounters of the Third Kind” will enjoy “Watch the Skies”.